This page just gives a bit of background information about Philip and Julie, who own Casa Julip. Julie is a Canal Artist, she paints Canal Boats and Artefacts, plus teaches canal art. She has her own website at www.canal-art-by-julie.co.uk, so please take a look. She also teaches Jewellery and we trade at Canal fêtes and craft shows in canal art, canalia and jewellery. We have a log cabin in our garden that we use to give small group or one to one teaching sessions in canal art or jewellery. I am a retired computer consultant, who used to work for a large I.T. services company, and now I teach I.T. (mainly how to build your own website) and Jewellery making, plus do odd IT jobs for people that know me. 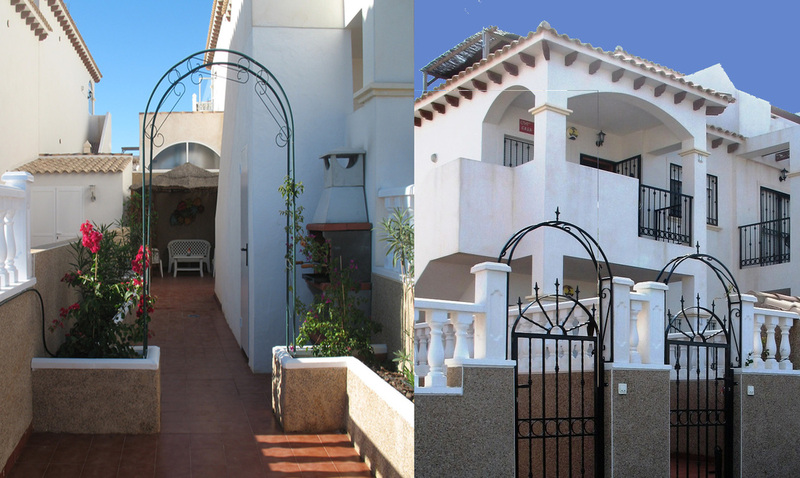 It is about 15-20 Min Walk to Punta Prima beach and is situated about 4Km south of Torrevieja. Local shops, supermarkets and numerous restaurants are even closer, just 10 minutes walk away.